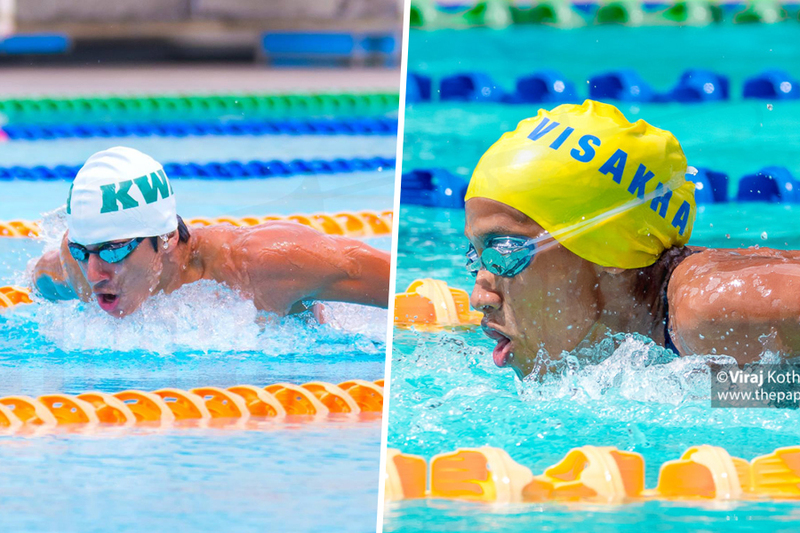 Visakha Vidyalaya toppled defending champions Mahamaya Girls College Kandy to take home the 2018 National Swimming title. Meanwhile, Killer Whale Aquatics showed true dominance, winning their 2nd consecutive National Swimming Championship, in the electrified final day at the Sugathadasa waters. Photos from the Final Day! 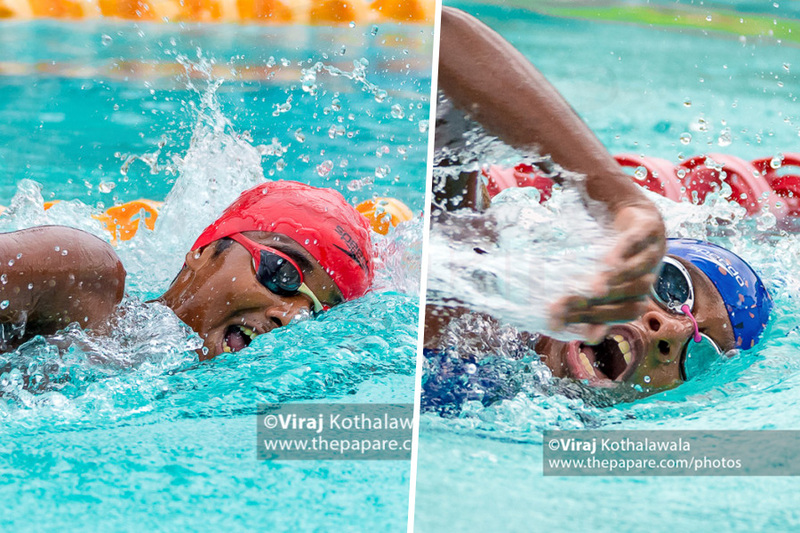 The 4th and final day of the much-awaited National and Junior National Aquatic Championship 2018 concluded today with the Visakhians stealing the title from their rivals in the water, Mahamaya Girls College Kandy, to win the Senior Nationals by a long shot. Defending champions Killer Whale Aquatics Club dominated this years’ championship from day 1 and have closed curtains in their rightful place on top. Their lead in the Senior National Team Scorers was unattainable by Ananda College who had to settle in second. 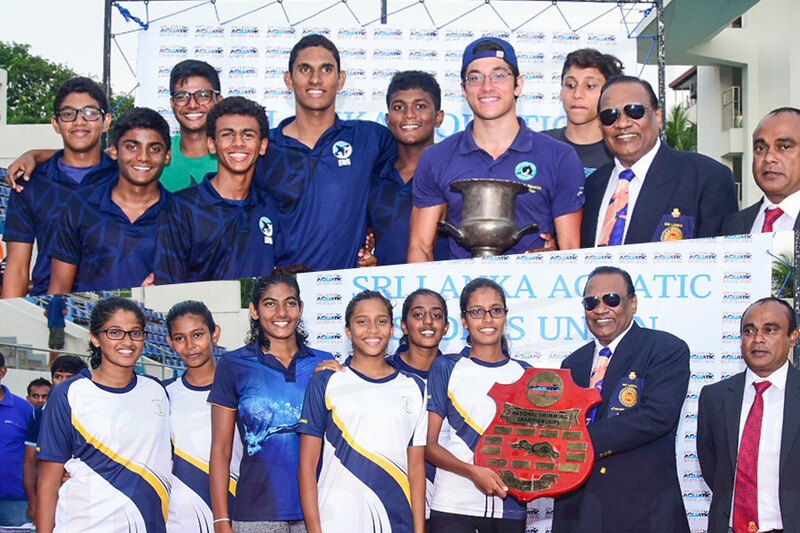 Over in the Junior Nationals, Nalanda College managed to top the group with 171 points to grab the boys’ championship over this years’ Schools’ Champions, St. Joseph’s College. It was a race till the end in the Girls’ category; After leading all three days Lyceum International School Wattala was overtaken by Sirimavo Bandaranaike Vidyalaya by a mere 3 points to run away with the trophy. The final day brought along two more National Records, one in the Relays and the other in an individual effort. Nisha Nilaweera of Stafford International School won Gold in the Girls U15 50m Freestyle event, with a timing of 29.25 seconds, which was speedier than the previous record of 29.40 seconds. Visakha Vidyalaya’s stylish Relay Team in the Girls 200m Medley, broke the final record in this years’ Nationals. Their final time of 2:10.35 minutes was enough to surpass their own record kept last year of 2:11.79 minutes. Chris Pavithra of St. Peter’s College performed well with 3 Gold medals and 2 Silvers ending a fabulous run in the 2018 Nationals. E. Senanayake representing the Army Aquatics Sports Committee finished in impeccable fashion with 4 Gold medals and one Silver. 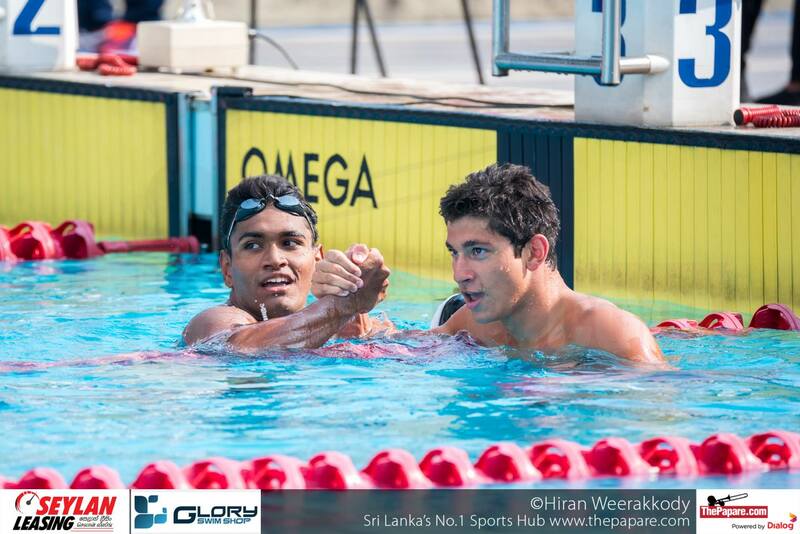 Youth Olympic star Akalanka Peiris of St. Peter’s College completed yet another National Swim meet with the highest honour. He walked away with first place finishes in all five events he partook in. Youth Commonwealth Silver Medalist, Kyle Abeysinghe, representing the winning team of Killer Whale Aquatics, also won 5 Gold medals to end his stint at this years’ Nationals. Kyle’s leadership with these stunning achievements were instrumental in KWA retaining their National title. Kyle’s teammate, and Asian Games representative Kavindra Nugawela also took home 5 medals of his own; 1 Gold and 4 Silver medals. Young Adithya Perera of De Mazenod College was the recipient of 3 Gold medals and a Silver and Bronze, bringing his medal count to 5 at the end of the 4th day.